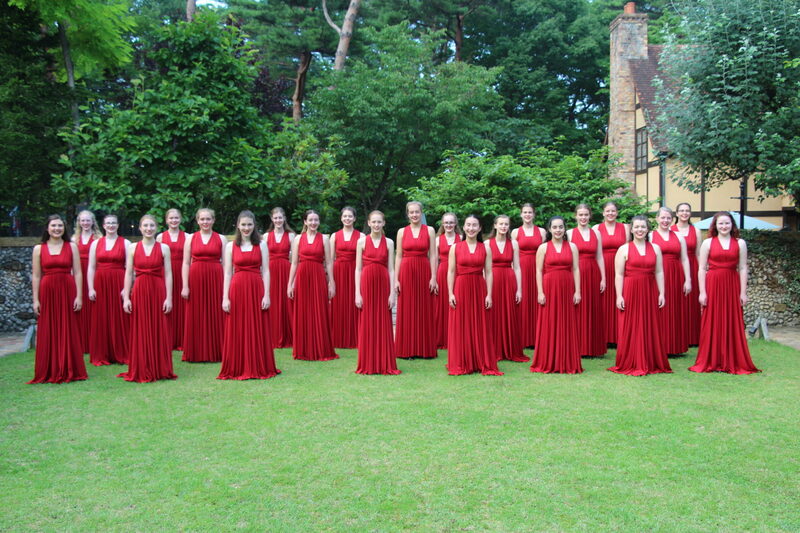 The Waratah Girls’ Senior Choir is made up of girls from school Year 7 to age 30. No former experience is needed, just a desire to sing, and after a simple “audition” each girl is accepted for a three-month probationary period, after which, full membership is granted. Vocal exercises and simple choreography are included as part of the weekly rehearsal schedule, and musical education and sight singing is taught on a “learn as you go” basis. All songs are discussed, and musical principles and terms applied. A higher level of ability and experience is required at this level as the repertoire is varied and challenging, with the inclusion of both classical and contemporary repertoire in three and four­‐part harmony as well as a cappella works. The emphasis in senior choir is on performance, having fun and the awareness and need for excellence. The Senior Choir regularly performs throughout the year at official ceremonies, joint public concerts, private functions, Christmas events and weddings. Senior choir rehearses every Monday during school terms from 5.30pm to 8.30pm at The Grainery Church, 11 Murray Dwyer Circuit, Mayfield West. All choristers are required to sign in on entry, and arrive 10 – 15 minutes early for rehearsal in order to collect music, socialise and be ready for a prompt start.